Rep. Don Beyer led 45 House members today in writing to President Donald Trump urging him to drop his support for Texas, et al v. U.S., et al. Despite the President’s tweet claiming “All Republicans support people with pre-existing conditions, and if they don’t, they will after I speak to them. I am in total support,” the lawsuit would nullify protections for Americans with pre-existing conditions under the Affordable Care Act. Until President Trump stops his efforts to undermine protections for pre-existing conditions, he is functionally lying to the American people. 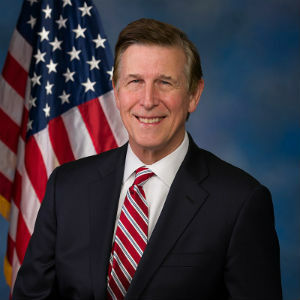 Rep. Beyer also co-led and supported respective letters to the 18 State Attorneys General and 2 Governors leading the lawsuit. The package of letters re-emphasizes Democrats’ commitment to holding the Trump Administration accountable for their assault on pre-existing condition protections. In addition to the lawsuit, President Trump also vehemently supported the Republican push to repeal the Affordable Care Act (ACA) in 2017, which only failed by a one vote, razor thin margin in the Senate. Majority Leader Mitch McConnell has also hinted that Republicans may revisit ACA repeal following the results of the 2018 midterms. A signed copy of the letter to President Trump can be found here.